This is an optional Team Associated 12mm Aluminum Front Clamping Wheel Hex Set, and is intended for use with the Team Associated SC10 1/10 scale short course truck. 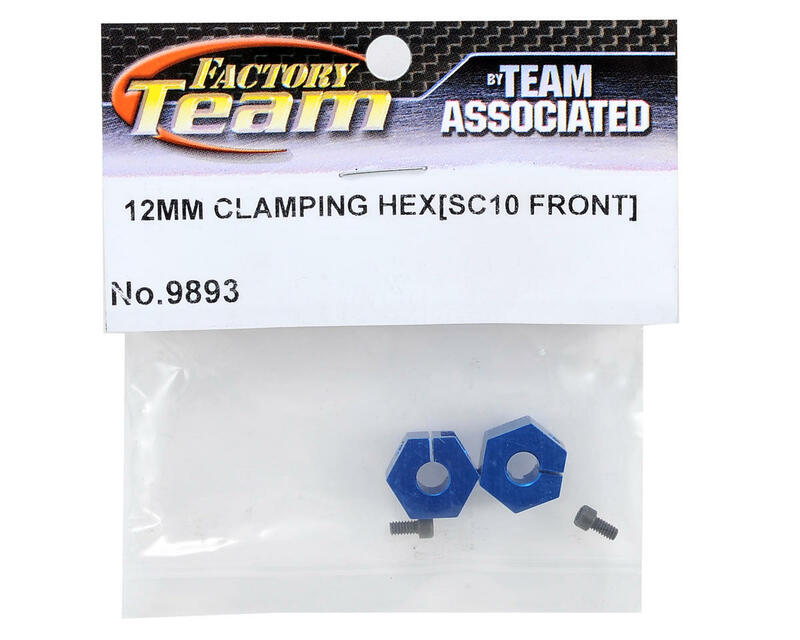 To use these hexes on the front of a SC10 you must also use the Team Associated Front Hex Axle Set (ASC9881) and the Hex Steering Block Set (ASC9880). Team Associated's Factory Team Aluminum 12mm Clamping Wheel Hexes clamp securely onto the axle, preventing the hex from getting stuck in your wheels, which allows for speedy wheel changes. 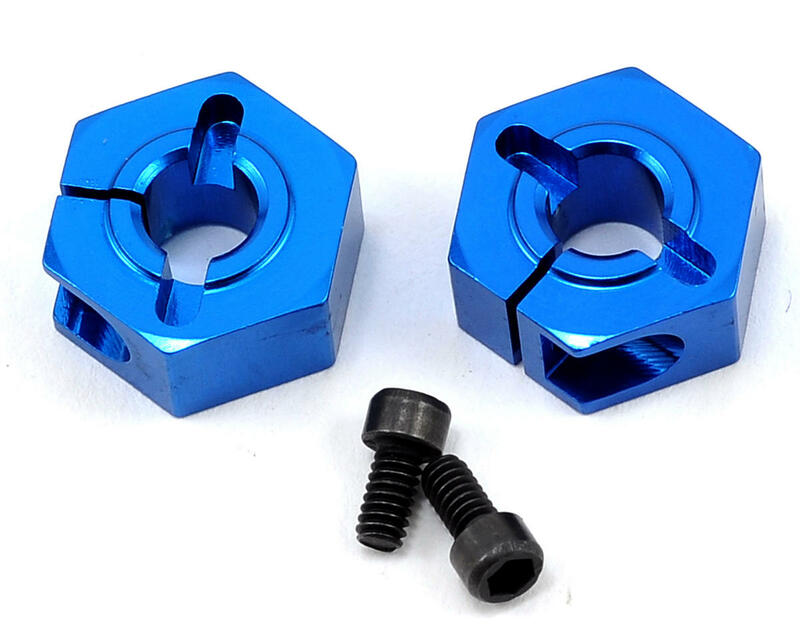 The hex adaptors are CNC machined out of 6061-T6 Aluminum and anodized Factory Team blue. The 12mm hexes use a 2-56 Socket Head Cap screw (included), which allows for the use of either a 5/64" or 2mm Allen wrench.